Are there too many dwellings being built in Romania? The residential market is becoming ‘hotter’ and ‘hotter’, a matter which is also observed by the officials of the National Bank of Romania who monitor the price evolution, as well as by the majority of the inhabitants who live in the big cities, where a large number of building sites have emerged during the past three years. 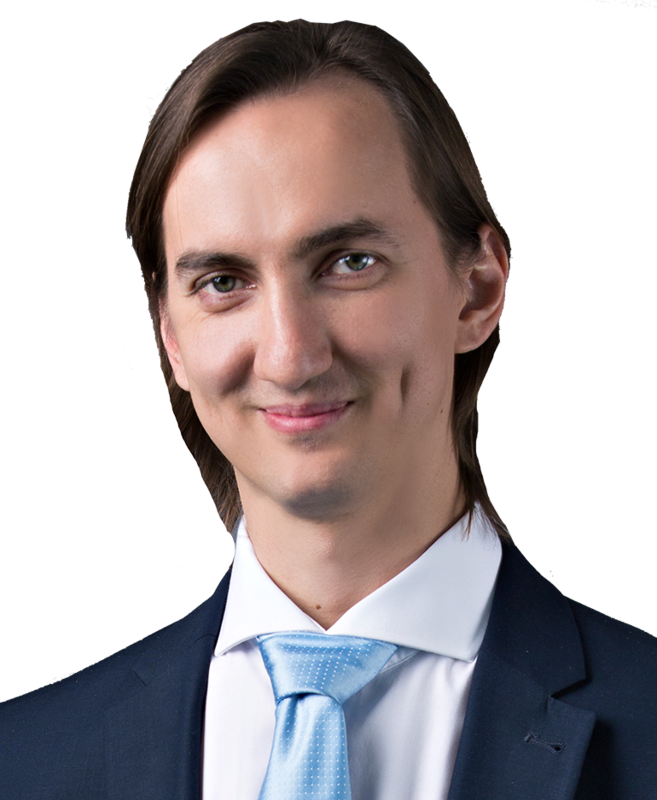 The General Index of Residential Property Prices, calculated by National Institute of Statistics, reached 108.96 at the end of the first quarter of 2017, showing a 9% increase from the end of 2015, when this index was created starting from 100 as reference. 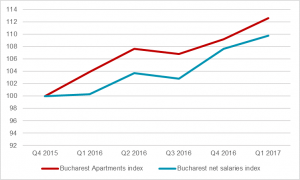 The Bucharest apartments index reached 112.77, an increase of 13% in the last 15 months. This growth came as a result of the interest rates which reached a historical low and of a steady rise of salaries. 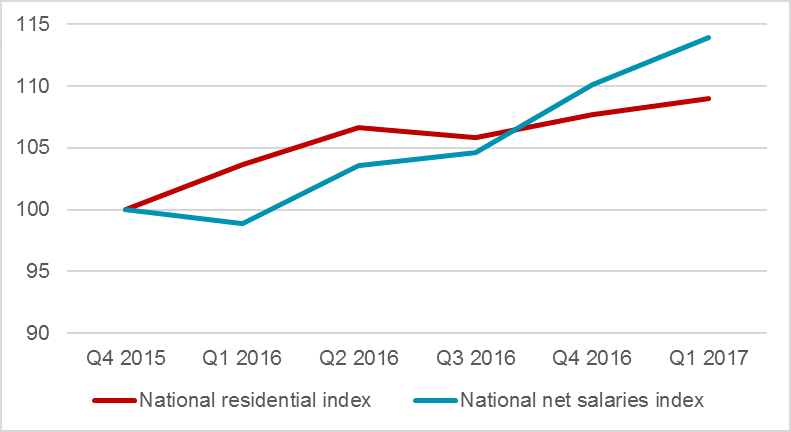 Moreover, the national wage growth outperformed that of housing prices (the rise of wages calculated in euros was 14% at the national level between Q1 2017 and Q4 2015, while property prices rose 9% during the same period). 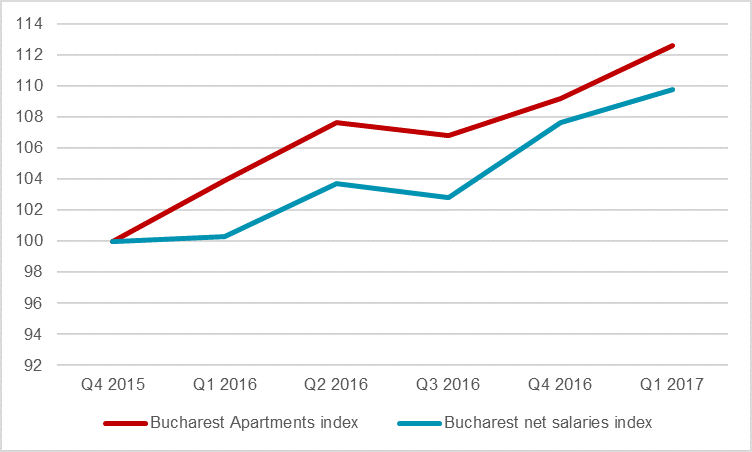 Meanwhile, the Bucharest apartment prices grew faster than wages (12.6% vs. 9.8%). Based on this data, we have tried to answer the following question: are there too many dwellings being built in Romania? 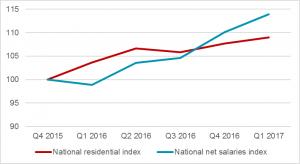 How big is the risk of residential developments, considering that interest rates started to rise slightly and the upward trend in wages will slow down? An indicator of housing construction in stable markets (markets without an “El Dorado” urban dynamics type and also without a massive population exodus) is the ratio between the new dwellings delivered in one year and the existing stock, which is considered normal at a 1% level (by establishing the average duration of a house at 100 years). There were 52,206 dwellings delivered in Romania during the last year, while the total stock reached 8.9 million dwellings, therefore the share of new homes being 0.58%. There were only 9 counties where the share went above this threshold, 9 counties in which 34,303 dwellings were delivered, representing 66% of the total. The following 5 counties went above the 1% threshold – Cluj, Sibiu, Timis, Iasi and Constanta – while the Bucharest – Ilfov region was slightly below this threshold, with a level of 0.97%. At the opposite end were the Mehedinti, Gorj, Hunedoara, Teleorman and Caras-Severin counties (between 0.09% and 0.15%), highly depopulated areas which have been bypassed by investors. The figures show signs of a large housing construction increase mostly in the Cluj (1.58%) and Sibiu (1.51%) counties, but considering that these two counties currently enjoy either a stable evolution (Sibiu), or an ascendant one (Cluj) in terms of the resident population, we can conclude that the expansion of the housing stock is justified to a certain level. In regards to the Bucharest-Ilfov market, another area with a positive population dynamic, but also with an important share of low-comfort housing, the delivery of 10,000 new homes per year is sustainable, providing that they are better in quality than those from the old stock, and also that the price level remains affordable, with an increase that does not exceed that of wages.